Lenders, vendors and other trade creditors routinely rely upon statements of financial condition when deciding to extend or renew credit. What impact does a borrower’s misstatements about a portion of their financial condition – perhaps a misstatement about only a single asset – have on his or her ability to obtain a discharge in bankruptcy? In Lamar, Archer & Cofrin, LLP v. Appling, the Supreme Court of the United States clarified a split of authority in the federal circuits that misstatements about a single asset may constitute a “statement respecting the debtor’s or insider’s financial condition” sufficient to deny a debtor a discharge pursuant to 11 U.S.C. 523(a)(2)(B) assuming the creditor can prove the elements contained therein. In Lamar, the debtor (Appling) was a business litigation client of a law firm. Appling fell behind on his fees by approximately $60,000. When the law firm threatened to withdraw from further representation if its fees were not paid, Appling orally represented that he was expecting a tax refund of approximately $100,000. In reliance on Appling’s statement, the law firm continued to represent him. Appling’s tax refund, however, was less than anticipated and he opted to spend the refund on business operations, rather than pay the debt owed to the law firm. When the law firm again approached Appling about his unpaid bill, Appling represented that he had yet to receive the refund when, in fact, it had already been spent. Relying on Appling’s second misstatement, the law firm completed the litigation and delayed collection on the past due fees. The law firm subsequently obtained a judgment for its fees some five years after its final invoice to Appling went unpaid. Appling subsequently filed for bankruptcy. The law firm commenced an adversary proceeding seeking a declaration that its judgment for fees was nondischargeable. The adversary proceeding centered on whether Appling’s statements regarding the amount and receipt of the tax refunds were misstatements “respecting the debtor’s financial condition.” While the Bankruptcy Code excepts from discharge debts for money, property, extension, renewal or refinancing of credit obtained by false representations, false pretenses or fraud, if the misstatement is made “respecting the debtor’s or insider’s financial condition,” the creditor has the additional burden of demonstrating, among other things, that the statement was materially false, made in writing, and with the intent to deceive. While the law firm contended Appling’s misstatements fell within the broader exception, Appling contended that his misstatements about the tax refund were made with respect to his financial condition and, consequently, needed to be in writing to trigger the exception from discharge. Although the goal of the Bankruptcy Code is to protect the honest but unfortunate debtor, in parsing the language of 11 U.S.C. 523(a)(2)(B), the Supreme Court agreed with Appling that a “statement respecting the debtor’s or insider’s financial condition” must be broadly interpreted. Hence, a misstatement that has a direct impact or relation to the debtor’s financial status is a statement “respecting” the debtor’s financial condition. While some lower courts had rejected the argument that a statement about a single asset was sufficient to constitute a statement “respecting” financial condition, the Supreme Court disagreed. Because a single asset may have a direct relation to or an impact upon the debtor’s aggregate financial condition, a misstatement about that single asset qualifies as a statement “respecting the debtor’s or insider’s financial condition.” Because Appling’s misstatements were made with respect to his financial condition but were not in writing, the law firm could not satisfy all the elements under 11 U.S.C. 523(a)(2)(B) required to except the fee judgment from discharge. 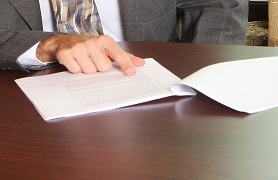 In sum, while a debtor’s misstatement about a single asset may be sufficient basis to except a debt from a bankruptcy discharge, lenders, trade creditors and vendors choosing to extend credit to clients, particularly unsecured credit, on the basis of representations of financial condition would be well-served to ensure that any such client representations are contained in writing or else risk the ability to challenge the discharge. Should you have any questions regarding this decision, please contact Mark W. Sandretto.